I like how you embossed the bottom oval…and the colors really pop! Nice job with the sketch this week! I know what you mean, Bridgette, about Summer flying by so I get what you mean about being in a time warp. Your card is really cute! The little flower is a nice little accent. Love your simple card! Love the colors! Great way to add texture by placing your greeting on the embossed oval. And the little yellow flower…perfect touch! Yes, time IS flying by here as well! 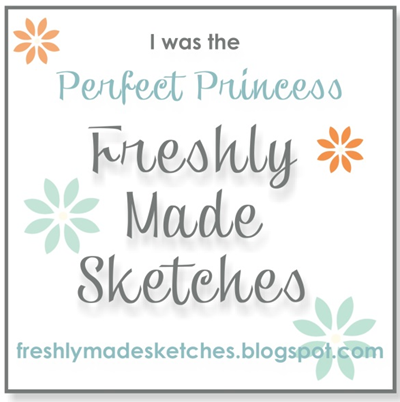 Love this sentiment and how you’ve layered it on a second embossed layer; great look! The black elements really accent the calypso color! Great birthday card! 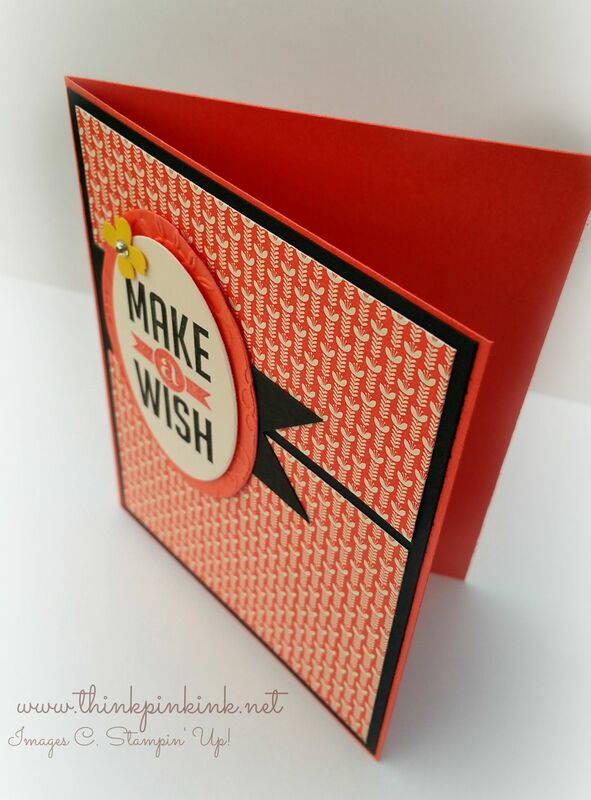 Beautiful – works so well with that DSP taking centre stage and the embossing on the oval layer. Great card! Love the way the black highlights both the DSP and your oval – the little yellow flower adds just the right ‘pop’ too! I’m with you on time flying – I would not object to twice as many hours in my day for sure! 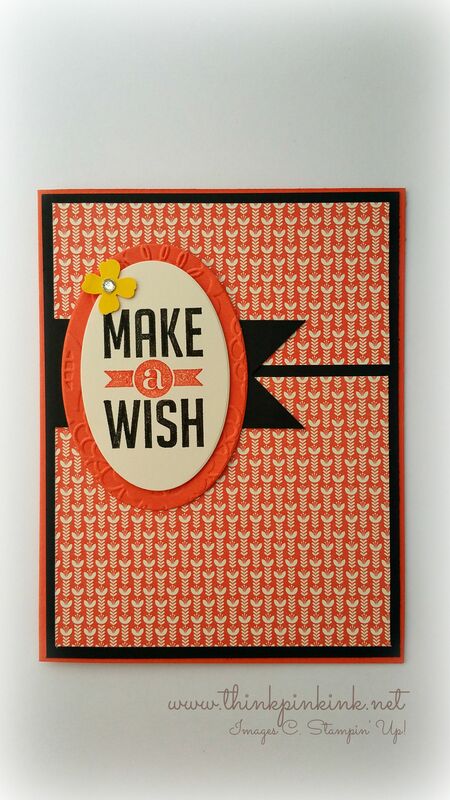 This is such a pretty card in coral! You have used a busy print very successfully, keeping the rest of the card clean and simple. Great card! 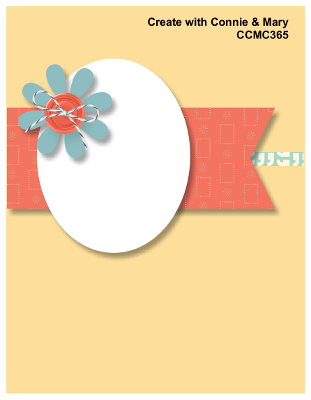 I love the simplicity of this card and the graphic, yet chic feel! Great card!